Entourage: The Movie Arrives Onto Blu-ray Combo Pack and DVD on September 29 or Own It Early on Digital HD on August 25! Movie star Vincent Chase (Adrian Grenier), together with his boys, Eric (Kevin Connolly), Turtle (Jerry Ferrara) and Johnny (Kevin Dillon), are back…and back in business with super-agent-turned-studio head Ari Gold (Jeremy Piven). Some of their ambitions have changed, but the bond between them remains strong as they navigate the capricious and often cutthroat world of Hollywood with hilarious antics. Entertaining Featurettes, Behind the Scenes, and More! Burbank, CA, July 23, 2015 – The boys are back! “Entourage The Movie” will arrive onto Blu-ray Combo Pack and DVD on September 29 from Warner Bros. Home Entertainment. “Entourage The Movie,” the much-anticipated big-screen version of the award-winning HBO series, reunites the hit show’s original cast led by Kevin Connolly, Adrian Grenier, Kevin Dillon, Jerry Ferrara and Jeremy Piven. The film will be available early on Digital HD starting on August 25. 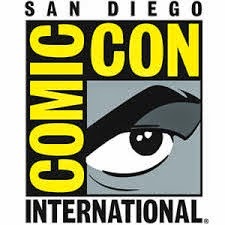 A Warner Bros. Pictures presentation, in association with Home Box Office, “Entourage The Movie” also stars Billy Bob Thornton and Haley Joel Osment as father and son Larsen and Travis McCredle. The returning cast from the series includes Perrey Reeves as Ari Gold’s wife, “Mrs. Ari;” Emmanuelle Chriqui as Sloan, Eric’s on-again/off-again love interest; Debi Mazar as Vince’s publicist, Shauna; Rex Lee as the ever-faithful Lloyd; and Constance Zimmer as Ari’s colleague Dana Gordon. Emily Ratajkowski and champion UFC fighter Ronda Rousey appear as themselves in the film. “Entourage The Movie” creator Doug Ellin directed the feature film from his own screenplay. The film’s story is by Ellin & Rob Weiss based on characters created by Ellin. Mark Wahlberg, Stephen Levinson and Ellin produced the film alongside executive producer Wayne Carmona. “Entourage The Movie” will be available on Blu-ray Combo Pack for $35.99, and includes the film in high definition on Blu-ray disc, DVD, and a digital version of the movie in Digital HD with UltraViolet. 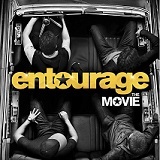 Fans can also own “Entourage The Movie” via purchase from digital retailers.